Let me get one thing straight: I have loved boxed macaroni and cheese for as long as I can remember. From the bright orange Kraft mac and cheese dinners my dad “cooked” when my mom was out of town, to the countless microwaveable single-serve Easy Mac cups I consumed in college, and fancied-up shells and white cheddar from Annie’s that now fill my pantry, this gloriously convenient invention has always been a part of my life. And while you can often catch me whipping up a batch of the stuff in its purest form (including last night, when I had zero desire to prepare a full dinner), there are times when I like to experiment with different combinations of ingredients. Some are based off my cravings (spicy, bright and herby, or totally carbo-loaded), and other times they’re based off whatever leftovers are in my fridge. 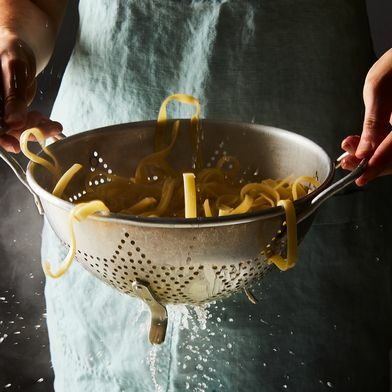 Sure, adding extra ingredients can take away a bit of the simplicity, but incorporating them is easy and rarely takes more than a few minutes—in fact, you can usually finish the prep while the pasta water boils. Most importantly, they pay off big time in terms of flavor. This combination’s got comfort food written all over it, and it couldn’t be simpler to whip up, especially if you’ve got some leftover roast chicken from the night before. 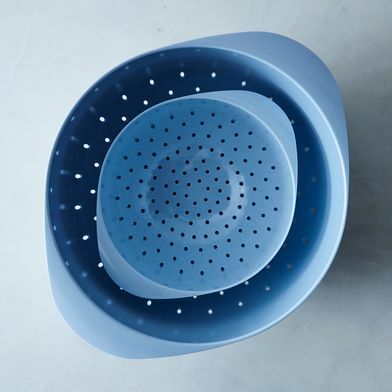 Simply steam or sauté broccoli florets while the noodles boil—or better yet, let that pot of water do double duty and toss the broccoli in there. After draining the noodles and mixing in the cheese, stir in the broccoli and shredded chicken (both yellow and white cheddar work well here) until everything is nice and warm. Take a cue from the Italian-Roman classic spaghetti alla carbonara. The method is simple: Cut bacon into one-inch pieces and fry it up until crispy while the water boils. Next, crack two eggs into a bowl and stir in the powdered cheese mixture with a fork. Once the noodles are ready, stir in the egg-cheese mixture (along with a splash of milk or pasta water, depending on the instructions) until combined. Toss in the bacon and peas (I use frozen; no need to cook them separately, they’ll easily heat up in the warm cheese) and there you have it, a fuss-free carbonara ready in mere minutes. For those of you who love punched-up flavors and a bit of heat, this is a combination you need to try. Fry up a a few cloves-worth of minced garlic until golden brown (or if you don’t want to dirty an extra pan, use garlic powder) and mix that into the macaroni (I like the yellow cheddar varieties for this one), along with pickled jalapeños, coarsely chopped. For a comfy weekend vibe, I drew some inspiration from this dreamy baked eggs recipe. Sauté sliced mushrooms (any kind you like!) in a pan with a knob of butter and fresh thyme, chopped. Once the instant mac is ready to go (try this one with the white cheddar varieties), mix in the sautéed mushrooms and grated gruyere. Or, if you’re feeling extra cozy, transfer the mac and cheese to a casserole dish, sprinkle the gruyere on top, and toss the whole thing under the broiler for a few minutes to create a bubbly, browned crust. We have to thank cook and food writer Caroline Choe for introducing us to this sublime, Korean-inspired combination. 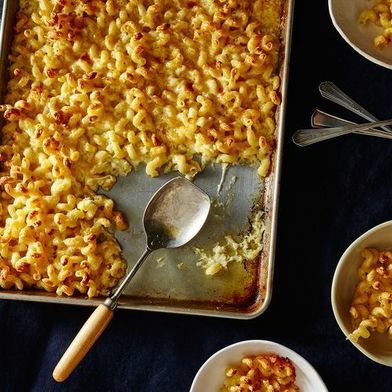 Ever since she dreamed up her recipe for Kimchi Macaroni & Cheese, her family, friends, and co-workers haven’t been able to get enough of it—and there’s no reason it can’t work for boxed mac and cheeses (particularly the yellow cheddar types). The key is to sauté the kimchi to cut down the acidity before mixing it into the cheesy macaroni, along with crispy bacon bits, and garnishing with chopped scallions. Sure, you’ve heard of the traditional caprese salad, along with its cousins, the caprese grilled cheese and a grilled panzanella twist. But have you ever thought to work those ingredients into your instant macaroni and cheese? Maybe not—but that doesn’t mean you shouldn’t. Simply mix in halved cherry tomatoes, chopped fresh basil, and chunks of melty mozzarella for a light, bright upgrade. One of my go-to pasta recipes is as straightforward as it is satisfying. First, sautée diced onions, then add broken-up spicy Italian sausage to the pan. Once everything is cooked through, incorporate a cup or two of my favorite canned marina sauce (it’s Rao’s). That, plus a little bit of penne pasta, is a weeknight no-brainer, but I think it might be even better mixed into the sharp cheddar of instant macaroni and cheese. Although I may not be a personal fan of Buffalo sauce (I know, I know, you don’t understand how or why), I have a few friends that would actually drink the stuff. My best friend’s favorite way to consume this spicy, tangy stuff is a Buffalo chicken sandwich—aka, breaded chicken slathered in Buffalo sauce and stuffed in a hoagie. If that sounds delicious, you’ll definitely want to try mixing in crispy chicken nuggets (just heat up the frozen kind in the oven or microwave) and a few dashes of Buffalo sauce into your sharp cheddar boxed mac and cheese. Nothing hits the spot quite like a steaming-hot pot of chili on a football game day or chilly winter night—that is, except for chili drowning in a bowl of cheddar cheese and noodles. For this combination, it’s easiest to crack open a can of pre-made chili (I love Trader Joe’s turkey chili) and mix it right into your favorite sharp cheddar-flavored instant mac. But if you don’t have one in your pantry, mixing in a few ingredients—cooked ground beef, drained kidney beans, and a few dashes of chili powder—will yield a similar result. Top it off with a dollop of sour cream and chopped green chilis for a bit of extra punch. What’s your favorite way to upgrade boxed macaroni and cheese? Tell us in the comments below!